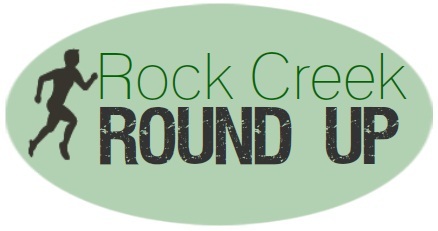 Last month I decided to start a new RCR feature highlighting some of the best articles and videos I’ve enjoyed over the past month. With so much exciting and fun information out there, limiting this list to just a few is harder than you might expect! But here they are, some of my favorite things on the web from April. As always, feel free to share with me your posts or your favorites. They just might make the list next month. 1) You can’t have an article round-up this month without talking about the tragedy in Boston. Everyone was reflecting on what it meant to them as a runner, including myself. One of my favorites was Matt Frazier’s piece, What It Means to Be a Runner. 2) This one isn’t directly related to running, more to life, but Seth Godin’s recent post on getting picked vs. picking yourself is important for anyone to read. Whether it is training for your next race, or taking a major step in your career, picking yourself is often better than actually being picked. 3) This video by Salomon Running might be set in San Francisco, but it is a good reminder to us all that adventure is not off in some distant place, it is right out our front doors! 4) Not everyone is interested in going plant based, but as I wrote in my last post in April, finding a diet that helps, not hinders, your running is a very important component to your training. No matter what your optimal diet may be, Leo Babauta’s new program, 7 Day Vegan Challenge, is a perfect place to start. 5) Ever wanted to know what it is like to be a professional runner? Check out this great interview on iRunFar with Sage Canaday, where he explains his upbringing, and what motivates him today. 6) Anyone hanging out in the woods these days better know about the dangers of ticks. The little suckers are popping up everywhere, and have become one of the biggest dangers for hikers, campers, and trail runners. Outside Magazine has a great piece this month covering the rise (and dangers) of the tick. 7) Jason Fitzgerald of Strength Running has spent the last several months traveling and bumming running around the world. The 50 lessons he learned while doing it are both practical and hilarious. 8) I sure do love infographics, don’t you? Greatist put out two great ones last month: How to Run Your Best Half Marathon Ever and more importantly, How to Become a Morning Person. 9) Commute on your bike like me? You probably know how dangerous riding at night can be. These new wheel lights from Revolights Wheels are incredible! They are uber practical and uber cool, I just wish they weren’t so uber expensive.